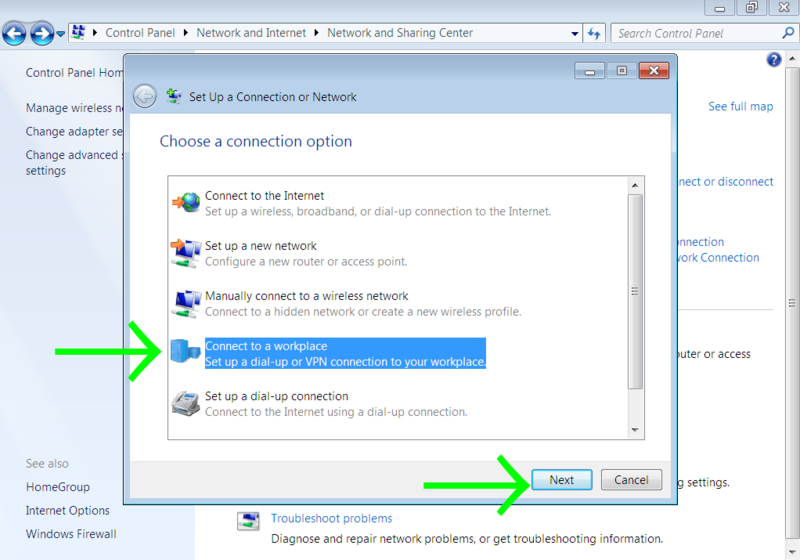 Recommended: The fastest and easiest way to set up VPN Worldwide on Windows 7 is here. 1. 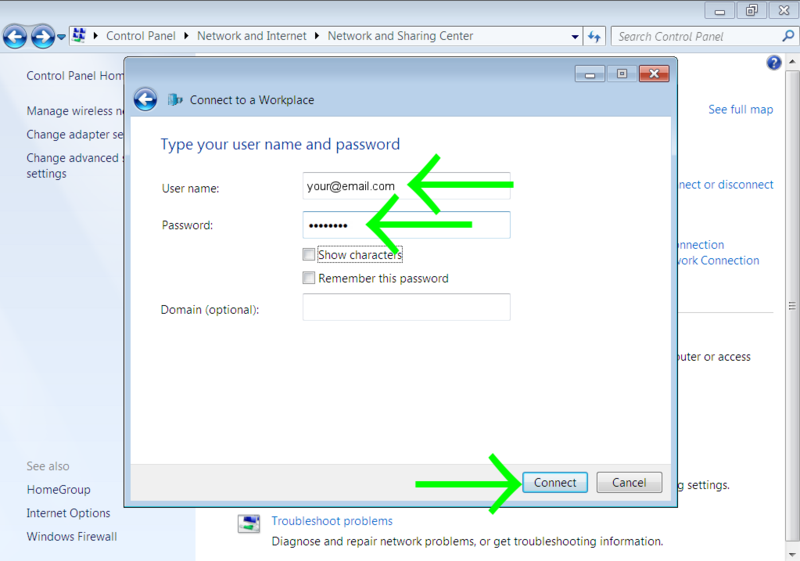 Open the Control Panel, choose "Network and Internet" and then "Network and Sharing Center". 3. Select "Connect to a workspace" and click "Next". 4. Click on "Use my Internet connection". 5. 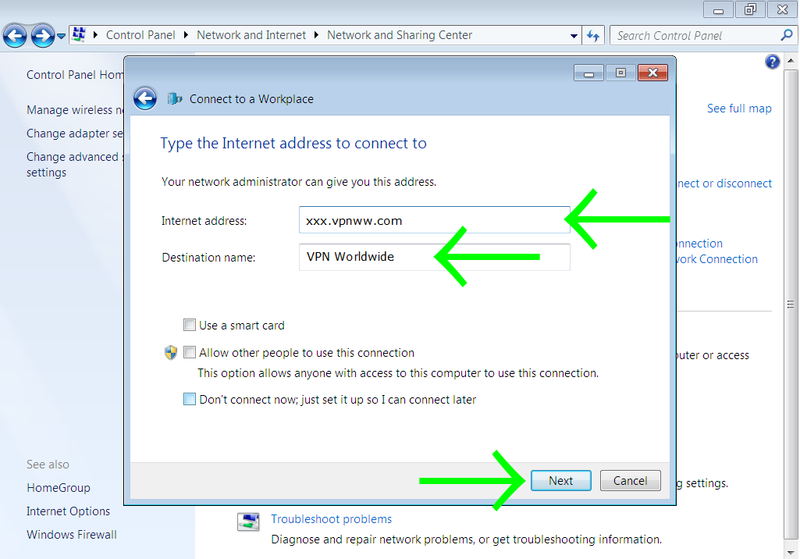 Now enter the VPN Internet (Server) address we provided you, then enter "VpnWorldwide.com" in the "Destination name". Click "Next". 6. Enter your VPN Worldwide Account details - your email as Username and your Password. 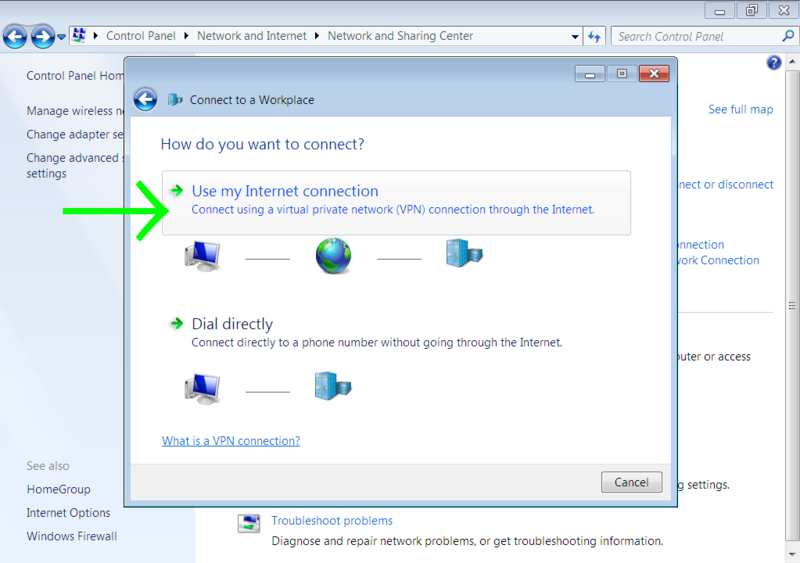 Connect to VPN Worldwide by clicking on "Connect". 7. 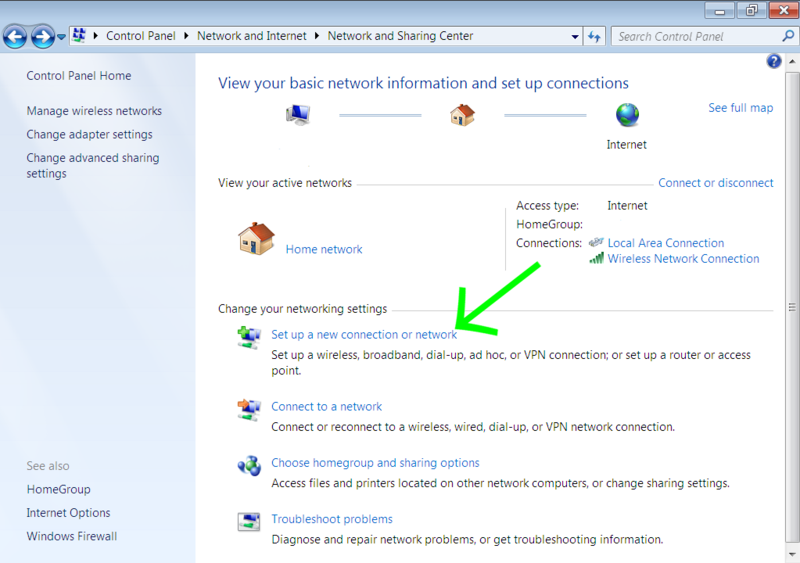 For any further VPN connection please use the "VpnWorldwide" connection icon in "Network Connections"